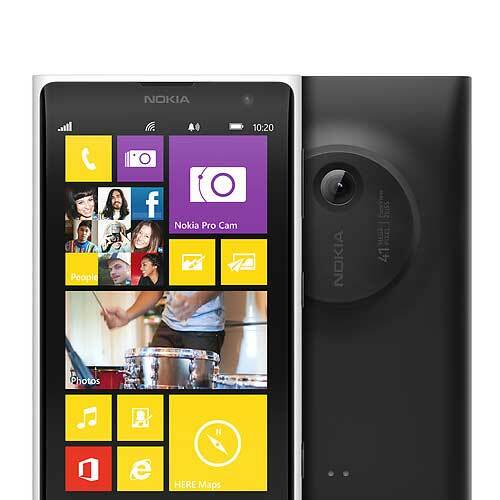 Nokia has unveiled the Lumia 1020 with simply astounding camera and Windows Phone 8 Operating system. The most important feature of the Lumia 1020 is the whopping 41 Megapixel camera sensor.That’s pretty Huge! Before the official announcement, there was a many rumors and leaks about the Lumia 1020, and finally available in the U.S. exclusively at AT&T for a hefty $299.99 with two years contract. Lumia 1020 Pre-order begins July 16 and will be available on e-commerce stores from July 26 and in the same date, it will be released globally. The biggest talking point of the phone is 41MP camera with Xenon flash and have decent RAM that is 2GB and storage capacity is 32GB. However, the phone is very slim and handy, even the whooping camera sensor is in the back side. The camera provides the enormous image resolution with stunning 1080p pixels from the mega camera. This large camera sensor is backed with Nokia’s Purview Image processing software. Lumia 1020 is simply having all the features of Lumia 920 with mega difference in the camera and camera apps. Lumia 102o has got the three different camera apps: Windows Phone 8 app, the new Nokia Smart Camera, and the even more potential Nokia Pro Camera, all of them have very different functions. The camera functionality is simply cool but sometimes if you take many photos with large resolution, it takes sometime to process the image. It’s fine though if you are taking 15MP photos with this camera. Camera has six-lens Carl Zeiss optics, you can use this to take wide-angle photos. It offers the auto-focus, high-resolution 3x zoom with dual-flash system.I addition, You can shoot a 1080p HD video at a rate of 30 frames per second. Lumia 1020 comes with matte white, black, or yellow variants and has stylish, sleek design. Lumia 1020 is slightly thinner and lighter than the Lumia 920. It has got ultra-sensitive touch screen with Gorilla Glass 3 on top for protection. 020 runs on a 1.5GHz dual-core Qualcomm Snapdragon S4 processor with 1.2 Megapixels front camera. It offers 32GB of storage memory without the external card support. Lumia 1020 will be available in the U.S. exclusively at AT&T for a hefty $299.99 with two years contract. Lumia 1020 Pre-order begins July 16 and will be available on e-commerce stores from July 26.